Seems like we have great news for you every week right now! This Monday there is a new free bonus that you can get with no deposit required. This offer is similiar to the promotion that is running at NextCasino during September. 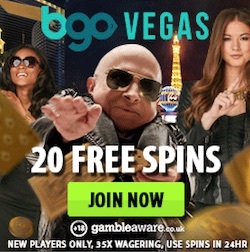 This is because the casino that is giving away this week's free bonus has the same owner as NextCasino. The casino we're talking about is of course CasinoLuck. 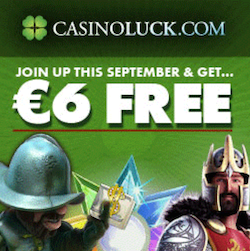 At CasinoLuck new players can get €6 totally free this month. The offer is only valid for new players that have not yet tried this first class casino. If you already have an account at CasinoLuck you can use all on going offers instead. But if this is the first time you ever hear about CasinoLuck you just have to register to get your free bonus. When you have signed up you have to claim the no deposit bonus. You do this by sending an e-mail to [email protected] In the subject line of the mail you should write the bonus code: "September €6 Free". 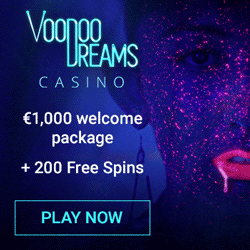 This e-mail will entitle you the no deposit bonus of €6 free. Your bonus will be credited to your account within 24 hours. When you see the amount on your account you can use the money on optional slots and table games at CasinoLuck. You don't risk to lose any of your own money and still you have the chance to win! The bonus is of course connected to some T&S that have to be reached in order for you to turn the bonus amount into real cash. When you have met the wagering requirements you can make a withdrawl to your bank account! Get €6 free at CasinoLuck! When you have used the no deposit bonus there is an additional offer to get! If you can consider fund some money to CasinoLuck you will be offered both free spins and another casino bonus. Just accept the bonus offer by clicking the box before you make your deposit. When this is done your account will be credited with a casino bonus of 100% up to €150. So you will get your deposited amount doubled! Within 36 hours CasinoLuck will also pay out 100 free spins to your account. 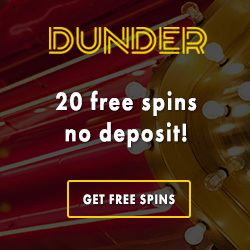 These free spins can be used in one of your selected video slots. The slots that are included in this welcome offer are Magic Portals, Victorious, Fisticuffs and Twin Spin. 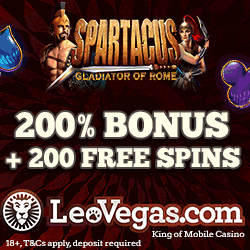 As a depositing player you will also get montly free spins and reload bonuses.